Sad that summer is coming a close? 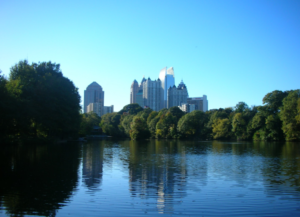 Make sure to capitalize on the end of the season by checking out some of Atlanta’s best events. Water Battle Royale: Takes place on August 15th at 2PM. It is located in Grant Park on the corner of Sydney and Cherokee. The event is free, but it is encouraged to donate $2.00 to maintain the meetup fees. You are to choose green or blue as your team color, bring your own water supply, and a picnic potluck follows, so bring something to contribute. Cypress Street End of Summer Pig Roast: Takes place on Saturday, August 27th and begins at 11 AM. $25 gets you VIP access that includes a plate of pork, a T-shirt designed by Esperanza, a SweetWater beer, a King of Pops popsicle, and a print from Noosh Studios. Meatball Festival: Takes place on Sunday, August 30th from 1-5 PM, is located in Sandy Springs at the Belle Isle Square parking area, next door to Cibo E Beve, and the tickets range from $20-25 presale and are $30 at the door. Music Midtown: Takes place on September 16-17, is located in Piedmont Park, 2 day general admission is $135, and the big names are Bruno Mars, Future, Mumford and Sons, and Blink 182.